Shop and Tool Talk Discussions, tips, and questions relating to: garages, tools, best deals on equipment, etc. I finally got the doors installed on the new garage addition. 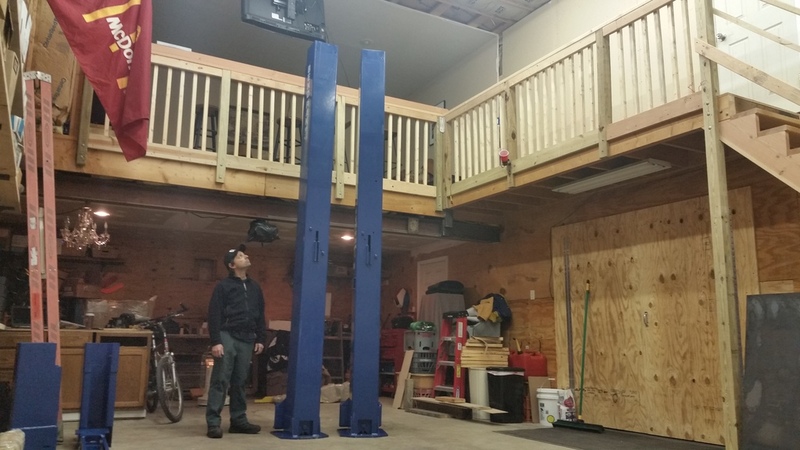 I think that this Atlas® BP10000 Baseplate 2 Post Lift is the lift that I will be getting since it will work with the 11' ceiling & be able to lift my F-450. Anybody have any other suggestions before I get this one? Nice. I've been searching also. I'll be very interested in your impressions. 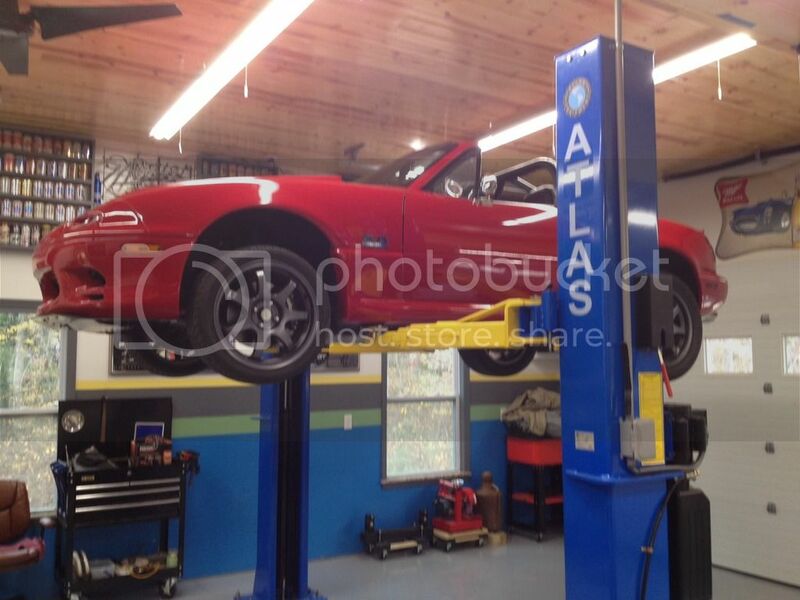 I already have this lift Atlas® TD6MR Portable Scissor Lift that I got last year. It works very well. 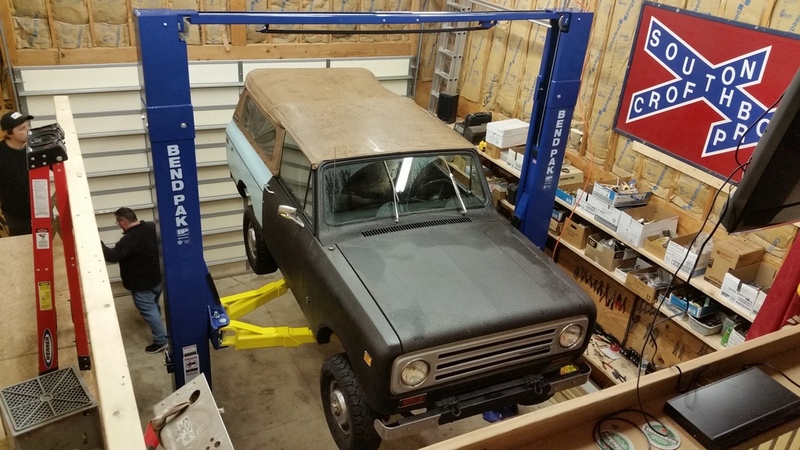 I went with the Dannmar 9000x when considering a budget lift because of it's ALI certification. I too have 11' ceilings. I believe they go on sale at Northern Tool for about $2500 with free shipping periodically. No experience with it yet, the uprights are bolted down, but I have yet to wire it. I will keep you posted. whatever man... I'm saving my pennies to get mine. LOL and here I thought the piggy bank was for boost! That's the nickle jar. Quarters are for 4 linking the Jeep. Which would be so much easier with a lift! LOL seems to me everything would be easier with a lift!!! Completed my lift last night. The electrician is stopping by tonight to wire it up. Like I told the waitress at Hooters, "Nice rack!!!" that's a good one! That's a fine security set up you have there too Chris! 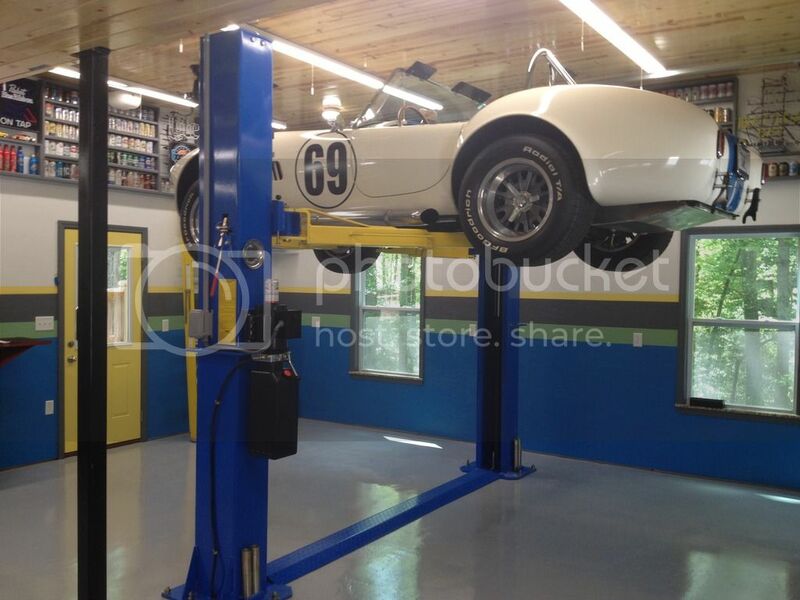 That's a nice looking lift! 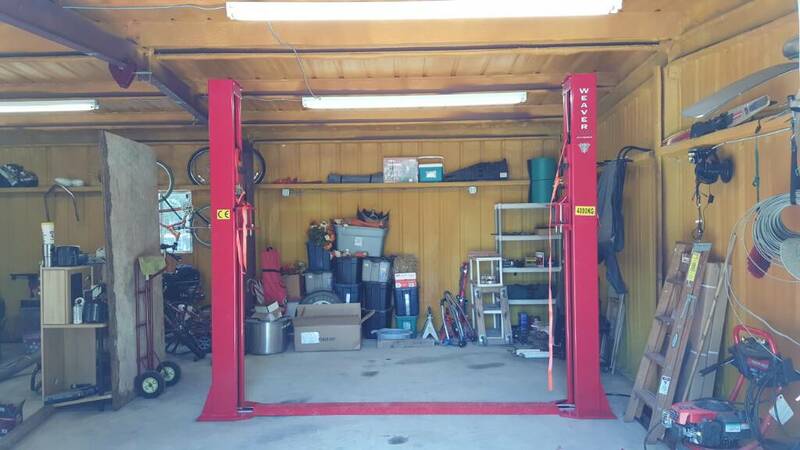 I'm helping a buddy install a Bendpak 10K/14' 2-post in his garage this weekend. Standing up 14', 800lb posts will be interesting..... I'll post back when we get it set up. As promised, here's a couple pics of the lift I helped install this weekend. 1st pic is without the 2' extensions added to the top. You can see them on the floor to the left. 2nd pic is with the extensions added. Ladders are 10' and 12' for reference. 3rd pic is with the lift at full rise. Nice lift. 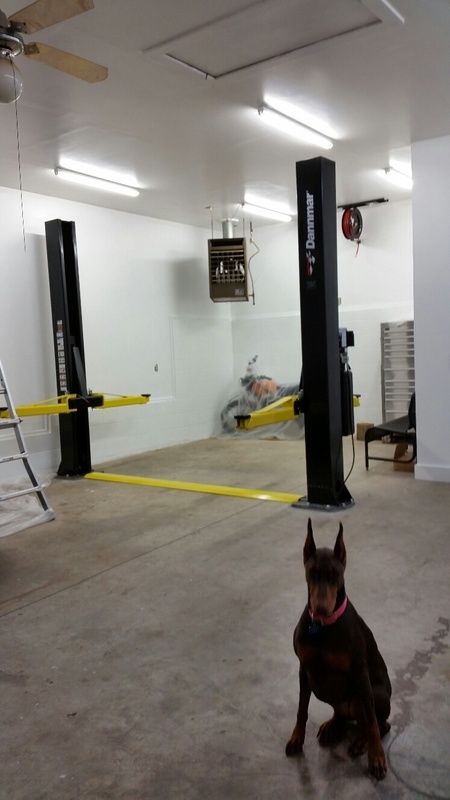 I am going to have to use a base plate style lift due to the 11' ceiling height. Finally got around to installing my lift 4 months ago. I thought I would post some pictures of it before it gets dirty. 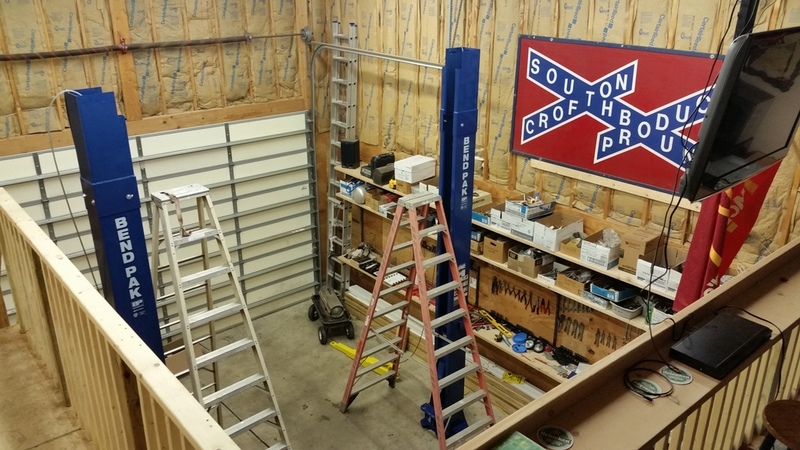 To contrast tbone's neat and tidy garage, here's my shop with the lift just getting stood up this past Sunday. Cables are in place but it still needs to be anchored and wired up. Another Miata may be on the horizon but I have a few other project that have been waiting on the lift to get completed first. Both look great. Life just got a little easier with those lifts. I know this is an old thread, but my lift from North American Auto Equipment has been fantastic. 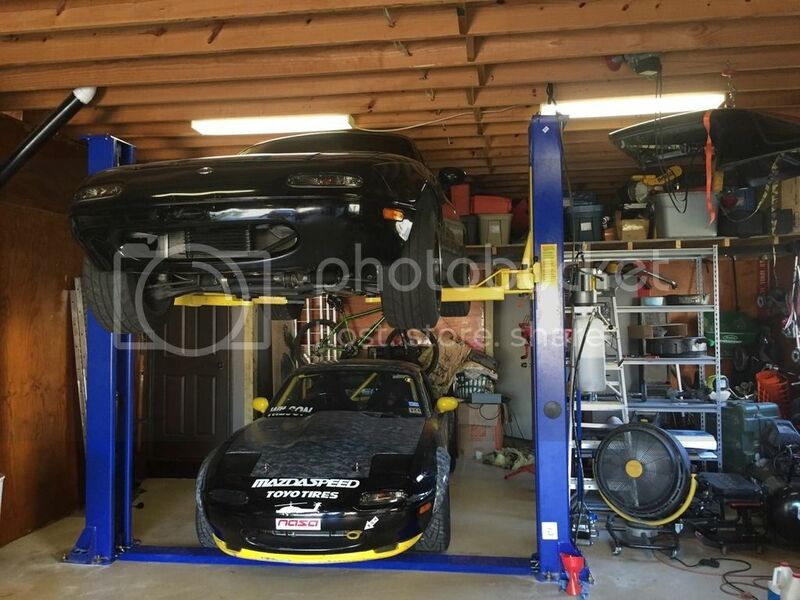 Perfect for 2 Miatas. Welds are strong and done well. 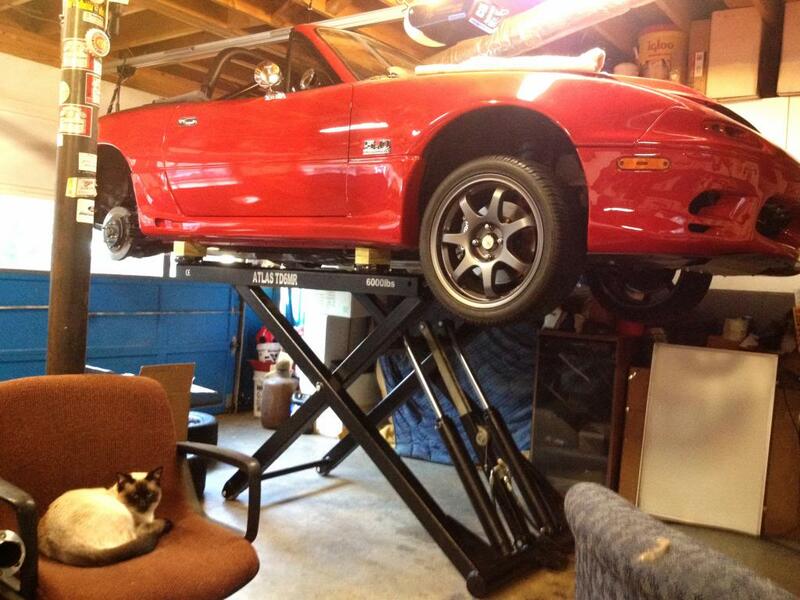 Photo is from right after install and everything in garage was shoved to the side to work on it. Looks better now (kind of) LOL. That High Life sign is awesome! I am kind of a fan. Ford 5.0 motor and trans for sale ++ Miata parts! Garage clearing!